If you cooked a turkey for the holidays and have lots left over, is it okay to pop it back in the freezer for later? What if your plans changed, and you never got around to cooking your turkey? Can an uncooked turkey go back in the freezer? Cooked or uncooked turkey can safely be refrozen, as long as you refreeze it within three days of thawing. But, you should only refreeze turkey, if it's been handled properly at every step along the way. According to the USDA Food Safety and Inspection Service, that means it needs to have been thawed in the refrigerator and that it can't have been left out at room temperature for more than two hours at any time. Turkey that has been thawed on the counter or left out for long periods shouldn't be refrozen. In fact, it shouldn't be eaten at all. It's better to waste food than to risk your health by eating something that may no longer be safe to eat. Note that the turkey may be slightly drier when you go to use it. Each time you heat it up, you lose a little more moisture. But, that sure beats having it go to waste. Just add a bit of gravy or your condiment of choice, and it'll be just as good as it was the first time. 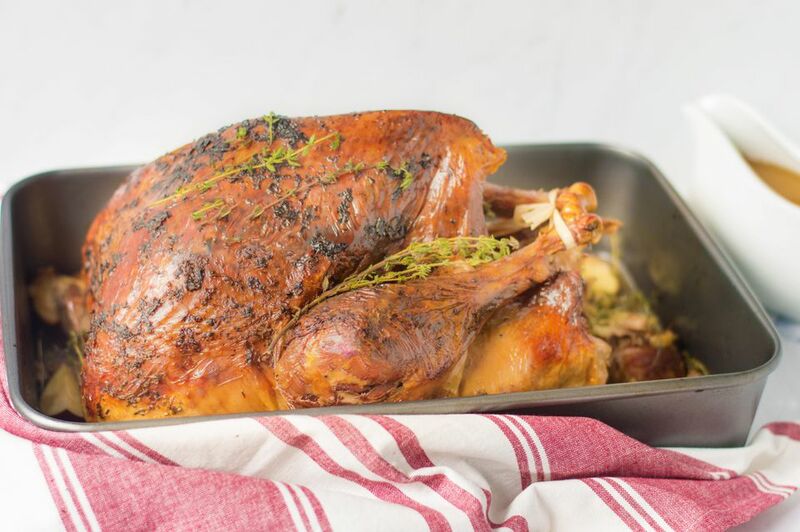 While you can certainly wrap the whole bird, bones and all, it's better to divide the turkey into meal-size servings before you put it in the freezer. This will make it easier to use. Instead of having to thaw out the whole turkey, you'll be able to grab just what you need; and you'll save a lot of space in your freezer, too. Be sure to wrap your turkey thoroughly so it doesn't become freezer-burned prematurely. Package it in a freezer bag or freezer paper to keep it sufficiently protected. When you're ready to use your leftover turkey, just transfer it from the freezer to the refrigerator. Allow one day of thaw time for every four pounds of meat. If you need it sooner, you can. Turkey bones make excellent broth, so don't throw them in the trash. If you're too busy to make broth now, you can always freeze the carcass for later. Of course, you may find it preferable to make a pot right away, so you have less to store in the freezer. Broth will keep in the fridge for three to four days but will keep in the freezer indefinitely. Homemade broth is wonderful to have on hand for making soup, and far superior to anything you can buy at the grocery store. Is It Okay to Refreeze Your Leftover Ham? Is It Safe to Refreeze Bacon?